Neighbors of oil-rich corrupt Nigeria must now take on the fight against a Boko Haram budding Islamic State that the Nigerian rulers are too fat to take on. We got interested in the above as we saw last night a UN in Vienna showing of the documentary – “THE SUPREME PRICE” – that was inspired by the actions of Dr. Hufsat Abiola – Costello the daughter of Moshood Abiola and Kudirat Abiola – Olayinki Adeyemi. Both of Hufsat’s parents were executed by military takeover of oil rich but poor Nigeria. Actually – her father was the democratic elected President but never allowed to take over his office, and her mother became an activist and was murdered as she posed a threat to the generals. All this before there was a Boko Haram. As all the riches was in the Niger delta oil fields of the South – it is the endemic poverty of the Muslim Northern region that eventually led to the present upheavals. As Nigeria approaches new contested elections March 28, 2015 – all of the above will again be front page news with the danger being that the elections will be followed by riots. DAKAR, Senegal — Troops from Chad and Niger launched an offensive against Boko Haram militants in neighboring Nigeria, military officials from both countries said Monday, two days after the Islamist terrorist group killed scores in bombings in northeastern Nigeria. A military official in the Niger border city of Diffa confirmed Monday that two columns of military vehicles carrying soldiers from Niger and Chad had moved into Boko Haram’s stronghold in Nigeria’s Borno State on Sunday, consolidating control over two frontier towns, Damasak and Malam Fatori. Chad had previously reported that its forces had pushed Boko Haram out of the two towns in mid-February. But Monday was Niger’s turn to do so. Chad’s military spokesman hung up the phone when questioned about the discrepancy, though the spokesman, Col. Azem Bermandoa Agouna, did say that forces from the two neighboring countries were “in coalition” in the regional fight against Boko Haram. “The armed forces have launched themselves into the fight to recover the town,” Colonel Azem said Monday from Ndjamena, the Chadian capital, referring to Damasak, a Boko Haram staging post for attacks. Control of the border towns has changed hands several times, and the situation in other remote towns in territory controlled by Boko Haram remains ambiguous. The Nigerian Army, which up until last month had conceded swaths of territory to the Islamist insurgents, is sensitive over the military assistance provided by its smaller neighbors. In Nigeria, more than 200 schoolgirls have been held captive since last April. Some background information on the Islamist group that has been trying to topple the country’s government for years. Video by Natalia V. Osipova on Publish Date May 9, 2014. Photo by Sunday Alamba/Associated Press. With a national election scheduled for March 28 and a pledge by military officials to stamp out Boko Haram before the vote, activity by Nigerian forces has intensified, as have efforts by the country’s neighbors, who are worried about the effects of the insurgency on their economies. Boko Haram has increased cross-border raids into Cameroon, Chad and Niger in recent months. Facing direct engagement from government forces, Boko Haram has reverted to old tactics, bombing so-called soft targets in the northeastern Nigerian city of Maiduguri. Fifty to 100 people were killed in four bombings over the weekend at two crowded markets in the city. The attacks were grimly familiar, with women concealing explosives under their hijabs. In one attack on Saturday at Maiduguri’s Monday Market, vigilantes forced a woman whom they suspected of carrying a bomb to the ground, only to be blown up as she detonated it. Nigerian reporters at another attack on Saturday at the Baga Fish Market noted that a number of the victims were children. Issa Ousseini contributed reporting from Niamey, Niger, and a correspondent for The New York Times from Maiduguri, Nigeria. With elections scheduled for 15 sub-Saharan countries this year, an Africa Check factsheet looks to the polls for leadership in five volatile states. In addition to presidential polls held in Zambia in January and Lesotho in February, voters are to cast their ballots in Burkina Faso, Burundi, the Central African Republic (CAR), Chad, Côte d’Ivoire, Ethiopia, Guinea, Niger, Nigeria, Mauritius, Sudan, Tanzania and Togo. South Sudan’s first election since it gained independence in 2011, originally scheduled for June, has been pushed back to 2017 as a result of violence. Three of the countries heading for elections – Nigeria, Sudan and CAR – were among the bloodiest countries in Africa in 2014. They accounted for almost 50% of the continent’s around 39 000 conflict deaths, according to the Armed Conflict Location and Event Data project. It is possible that elections, if they go ahead as planned, may fuel further violence. “Challenges have beset the election: Jonathan standing for office for a second term has exacerbated perennial north-south tensions and the Independent National Electoral Commission (Inec) has faced logistical challenges in dispensing voter cards to registered voters and to the roughly one million displaced by Boko Haram attacks. Security concerns in the northeast of the country have affected polling. In early February, Inec pushed the election back to March 28 owing to the threat posed by Boko Haram, a move criticised by Buhari’s All Progressives Congress. Regional forces have recently made some inroads on the group; they have reclaimed several towns and are planning a major ground and air assault. Jonathan’s waning popularity as a result of corruption scandals, high unemployment and his lacklustre handling of the Boko Haram crisis would seem to bode well for Buhari, who has extended his support in the south. But with most of his support situated in the north, any cancellation of polling or lack of voter turnout because of Boko Haram threats may affect his chances and call the credibility of the election into question. The success or failure of democracy, rule of law, and ethnic and religious reconciliation in Nigeria is a bellwether for the entire continent. With a population of more than 177 million evenly divided between Muslims and Christians, Nigeria is Africa’s largest economy and most populous country. A 2010 Council on Foreign Relations (CFR) Contingency Planning Memorandum, “Electoral Violence in Nigeria,” considered the potential for widespread violence associated with Nigeria’s 2011 elections and the limited policy options available to the United States to forestall it. This assessment remains relevant today. The 2015 elections again may precipitate violence that could destabilize Nigeria, and Washington has even less leverage in Abuja than it did in 2011. The upcoming elections are a rematch of the 2011 elections between the incumbent President Goodluck Jonathan (a southern Christian) and Muhammadu Buhari (a northern Muslim and a former military chief). Tension between Washington and Abuja is higher than in 2011, largely over how to respond to the radical Islamist insurgent group, Boko Haram, which is steadily gaining strength in northeast Nigeria. According to CFR’s Nigeria Security Tracker, Boko Haram has been responsible for nearly eleven thousand deaths since May 2011. Nigerian domestic instability has also increased as a result of the recent global collapse of oil prices, which are hitting the government and political classes hard. Oil constitutes more than 70 percent of Nigeria’s revenue and provides more than 90 percent of its foreign exchange. Since October 2014, the national currency, the naira, has depreciated from 155 to the U.S. dollar to 191. Since Nigeria’s independence in 1960, political power has alternated between the predominantly Muslim north and predominantly Christian south, an informal strategy to forestall the country’s polarization. Jonathan assumed the presidency when President Umaru Yar’Adua, a northern Muslim, died in 2010. Jonathan gave private assurances that he would finish Yar’Adua’s term and wait until 2015 to run for president because it was still “the north’s turn.” But Jonathan ran for reelection in 2011, thereby violating the system of power alternation. Following the announcement of Jonathan’s victory, the north made accusations of election rigging. Rioting broke out across the north, resulting in the greatest bloodshed since the 1967–70 civil war. The 2015 elections are likely to be more violent. A new opposition party, the All Progressives Congress (APC), has nominated Buhari as its presidential candidate. The APC is stronger than its predecessors and reflects a splintering of the political classes. The government’s inability to defeat Boko Haram, the economic hardships brought on by falling oil prices, and a growing public perception that the Jonathan administration is weak have fueled support for the APC. Though the APC’s voter base is in the north, it enjoys support all over the country, unlike the opposition in 2011. However, any incumbent Nigerian president has significant advantages: he is at the center of extensive patronage networks; he has access to the government’s oil revenue; and he and his party largely control the election machinery and ballot-counting infrastructure. It is uncertain whether any provisions will be made for voters in the three northern states placed under a state of emergency because of Boko Haram, as well as the estimated one million people displaced by the insurgency. These displaced voters would likely support Buhari and the APC; their exclusion would benefit Jonathan and the People’s Democratic Party (PDP). Thus despite the strength of the opposition, Jonathan remains the likely—but not certain—winner. An unstable Nigeria with internally displaced and refugee populations and a government unable to quell Boko Haram could potentially destabilize neighboring states and compromise U.S. interests in Africa. Yet, the United States has little leverage over Nigerian politics, which is driven by domestic factors, and even less leverage over the Nigerian security services. Nigeria will be disappointed that the United States has not offered greater assistance to counter Boko Haram, and Washington will be frustrated by Abuja’s failure to address human rights abuses by the security service. A November 2014 Council Special Report “U.S. Policy to Counter Nigeria’s Boko Haram” recommends long-term steps the United States should take to encourage a Nigerian response to terrorism that advances democracy, rule of law, and respect for human rights. In the short term, vocal U.S. support for democracy and human rights both during and after the elections could help discourage violence at the polls and after the results are announced. Secretary of State John Kerry, in a preelection visit to Nigeria, has already underscored the importance of free, fair, and credible elections to the bilateral relationship. In the aftermath, Washington should avoid commenting prematurely on the quality of the elections. Observers from the National Democratic Institute and the International Republic Institute are likely to issue preliminary assessments immediately after the polls close. So, too, will observers from the European Union, the Commonwealth, and the African Union. There will be media pressure for early, official comment. But, following a close election and the violence likely to follow, the timing and content of official U.S. statements should take into account the views of the vibrant Nigerian human rights community, which will likely be the most accurate. Washington should forcefully and immediately denounce episodes of violence, including those committed by the security services. But official statements should avoid assessing blame without evidence, and they should take into account the weak ability of party leaders to control crowd behavior. Washington should facilitate and support humanitarian assistance. The north is already in desperate need of humanitarian assistance, with the prospect of famine looming. If the postelection period is violent, there may be need for international humanitarian assistance in many other parts of the country. The Obama administration should plan for a leadership role in coordinating an international humanitarian relief effort, including a close study of lessons learned from the Africa Military Command’s successful intervention in Liberia’s Ebola crisis. The Sahel is in terrible condition and we doubt that bank action plans of several billion dollars will do anything beyond enriching a few leaders. We just saw the UN Secretary-General’s reporting to the UN Security Council. UN Secretary-General Ban Ki-moon’s remarks to the Security Council briefing on peace and security in Africa. The session dealt with Mali, Niger, Burkina Faso, and Tchad – the countries visited by Mr. Ban Ki-moon. He did not go to Mauritania or Senegal. I came back from the visit with a clear sense that we need to do much more to fight poverty, empower women, provide employment opportunities for young people and ensure that all the people of the Sahel have what they need to build a better future. The Sahel’s vast size and long, porous borders mean that such challenges can be addressed successfully only if the countries of the region work together. The United Nations will continue its efforts to promote security, good governance and resilience. We took an important first step in Mali at the regional meeting. African ministers, as well as regional and international organizations and financial institutions, came together to improve coordination and address the Sahel’s fragility. They welcomed the African Development Bank’s establishment of an Action Fund, which will help jump-start underfunded projects and contribute to longer-term development. Going forward, the ministers will meet twice each year to calibrate responses to the Sahel’s challenges. Mr. M. Tete Antonio representing the African Union presented the organization’s views. During the visit, the World Bank, and the EU, pledged $8.2 Billion for the SAHEL. The Secretary-General also had a very moving visit to Timbuktu, he said. People there are struggling to recover from human rights abuses and upheaval. I was given an opportunity to view the cultural treasures that had been damaged in attacks. This was a terrible loss for Mali — and for our common global heritage — but with UNESCO’s (United Nations Educational, Scientific and Cultural Organization) help, we are moving to safeguard it. I condemn all attacks against places of worship and call for reconciliation and accountability. We must continue to strengthen MINUSMA (United Nations Multidimensional Integrated Stabilization Mission in Mali). Mali has made progress toward re-establishing constitutional order. The first round of legislative elections was conducted in an orderly manner. But the political process between the Government and armed groups has been delayed. I remain concerned about the security situation in the north. Further – “Across the region, terrorist acts, the trafficking of arms, drugs and people, as well as other transnational forms of organized crime, are threatening security. We must do more to address the food crises that plague the Sahel. We also have to improve conditions in migrants’ communities of origin while also generating more legal opportunities for migrants to work abroad” – he said. To put all this into context – we say the situation in this French-speaking belt of Sub-Saharan Africa – is totally unacceptable. The lack of positive outside involvement, and an extortive National Governments’ presence, the land is left to marauders and outside trouble-makers who take aim at the larger and richer countries of the Arab belt of North Africa – Morocco, Tunisia, Algeria, Libya, Egypt. It was through the Sahel that forces fighting the Arab Spring found their way to the North and illegal traffic by those that also control the Sahel made it impossible to do any positive work in the region. We wait to hear of any projects that help the people there rather then the banks that manage those projects. Nevertheless – the UNSG continued – “I look forward to the views of Council members on how we can achieve this. And I count on all partners to live up to our promises so that this important region can break the cycle of poverty and insecurity and usher in an era of prosperity and stability for all.” This prompted statements from some delegations. Now seeing what the Council said we would not express hopes that the Council intends to do anything about the Sahel. it is indeed very cheap to say: “The Security Council reaffirms its continued commitment to address the complex security and political challenges in that region, which were interrelated with humanitarian and developmental issues, as well as the adverse effects of climate and ecological changes.” We ask – indeed gentlemen – what does this mean to you and what do you intend to do? All right – there is a reference to a document – S/PRST/2013/20 and then what? So, yes, there is a call to the local governments – but who indeed expects them to act? What are we entitled to expect from this UN? Mali in New York City – at Columbia University and the UN – no Saint in sight. UNITED NATIONS, April 2 — On Mali there was an event at Columbia University Tuesday night, advertised as “free and open to the public, but please register by writing.” So Inner City Press did, identifying itself as the Press, listing its office at the UN. After a final story about the day’s Arms Trade Treaty vote in the UN General Assembly, Inner City Press arrived at the event. There were twenty to twenty five people, of all ages — and all nameless here. After a lengthy speech and two social media missives, as the question and answer began, the moderator suddenly said — and we’ll paraphrase and not quote here — that he should have said so from the beginning, this would be under Chatham House rules, you can use the idea but no quote. Footnote: the UN office that Inner City Press listed on its RSVP has, as we’ve noted, been raided by the UN and others on March 18. Were the two most important Islamist leaders of the Sahara killed? What was the part of France and Japan in the fight to exterminate the rebels that became active when the Algerian military coup tried to stop Islamists from taking over the government by the elective process. What does the following mean when viewing what we got to call the Arab Spring and the dichotomy between twigs of democracy hope and trunks of solid Middle Ages religious zeal? N’DJAMENA – Chad’s military chief announced late Saturday that his troops deployed in northern Mali had killed Moktar Belmoktar, the terrorist who orchestrated the attack on a natural gas plant in Algeria that left 36 foreigners dead. Local officials in Kidal, the northern town that is being used as the base for the military operation, cast doubt on the assertion, saying Chadian officials are attempting to score a PR victory to make up for the significant losses they have suffered in recent days. Belmoktar’s profile soared after the mid-January attack and mass hostage-taking on a huge Algerian gas plant, during which 10 Japanese employees of engineering firm JGC Corp. were killed. His purported death comes a day after Chad’s president said his troops had killed Abou Zeid, the other main al-Qaida commander operating in northern Mali. If both deaths are confirmed, it would mean that the international intervention in Mali had succeeded in decapitating two of the pillars of al-Qaida in the Sahara. The French military moved into Mali on Jan. 11 to push back militants linked to Belmoktar and Abou Zeid and other extremist groups who had imposed harsh Islamic rule in the north of the vast country and who were seen as an international terrorist threat. France is trying to rally other African troops to help in the military campaign, since Mali’s military is weak and poor. Chadian troops have offered the most robust reinforcement. In Paris, French military spokesman Col. Thierry Burkhard said he had “no information” on the possibility that Belmoktar was dead. The Foreign Ministry refused to confirm the report. Belmoktar, an Algerian, is believed to be in his 40s, and like his intermittent partner, Abou Zeid, he began on the path to terrorism after Algeria’s secular government voided the 1991 election won by an Islamic party. Both men joined the Armed Islamic Group, or GIA, and later its offshoot, the GSPC, a group that carried out suicide bombings on Algerian government targets. Around 2003, both men crossed into Mali, where they began a lucrative kidnapping business, snatching European tourists, aid workers, government employees and even diplomats and holding them for ransom. Until last December, Belmoktar and Abou Zeid headed separate brigades under the flag of al-Qaida’s chapter in the Sahara. But after reports of infighting between the two, Belmoktar peeled off, announcing the creation of his own terrorist unit, still loyal to the al-Qaida ideology but separate from al-Qaida in the Islamic Maghreb. The Larger African Islamistan – from Senegal in the West to Somalia in the East – in the making; much larger then the AfPak region in Asia and at the threshold of Europe. This article originally appeared in German in issue 5/2013 (January 28, 2013) of DER SPIEGEL and reached us via UNWire. France is advancing quickly against the Islamists in northern Mali, having already made it to Timbuktu. But the Sahel offers a vast sanctuary for the extremists, complete with training camps, lawlessness and plenty of ways to make money. There is an old church in the Niger River town of Diabaly. It was built in the days when Mali was still a colony known as French Sudan. The stone cross on the gable of the church had never bothered anyone since the French left 50 years ago and Mali became independent, even though some 90 percent of Malians are Muslim. Now, what is left of the cross lies scattered on the ground. For the Islamists who overran Diabaly two weeks ago, bringing down the stone symbol was worth a bazooka round. They also smashed the altar and toppled wooden statuettes of the Virgin Mary and Jesus. But their reign of terror in Diabaly lasted only a few days — until the French returned. Acting on orders of French President François Hollande, French troops fired on the Islamists’ pickup trucks from the air, striking them one at a time with apparent surgical precision. According to local residents, not a single civilian died in the airstrikes. By Tuesday morning, the last of the extremist fighters had disappeared into the bush, fleeing on foot in small groups, likely headed north. France’s advance northward continued through the weekend, with the military announcing they had seized control of both Gao and, on Monday morning, Timbuktu. Just as they had in Diabaly, the Islamists melted away in front of the advancing force. But they will not disappear entirely. Northern Mali is just one part of the vast hinterland in which the Islamists can hide. French Foreign Minister Laurent Fabius refers to the rocky and sandy desert, spanning 7,500 kilometers (about 4,700 miles) from Senegal in the west to Somalia in the east, as “Sahelistan.” The Sahel zone is larger than all of Europe and so impassable that no power in the world can fully control it. The French have deployed all of 2,400 troops to the region, the Germans have contributed two transport planes. Sahelistan is the new front in the global fight against violent Islamists. Should other countries — Germany or Britain, for example — join the French with ground troops, it is quite possible that the West will become just as entrenched there as it has in the other front against global terror: Afghanistan. The Sahel zone is a lawless region. It begins in the southern part of the Maghreb region of North Africa, where the power of the Arab countries begins to fade, and where the already weak sub-Saharan countries like Mali, Niger and Chad were never able to gain a foothold. It is a no-man’s land honeycombed with smugglers’ roads and drug routes, an El Dorado for the lawless and fanatics. After the Arab spring and the death of al-Qaida leader Osama bin Laden, many hoped that terrorism could finally be drawing to a close. But even former Libyan dictator Moammar Gadhafi once predicted that chaos and holy war would erupt if he were toppled. “Bin Laden’s people would take over the country,” Gadhafi said. Now it is becoming apparent that his prophecy applies to even larger swathes of the desert. The crisis in northern Mali and the ensuing bloodbath at the natural gas plant in Algeria are only two indications. In northern Niger, Islamists are targeting white foreigners, hoping to kidnap them and extort ransom money. In northern Nigeria, fighters with the Islamist sect Boko Haram attacked yet another town last week. They shot and killed 18 people, including a number of hunters who had been selling game there, and then disappeared again. Muslims consider the flesh of bush animals to be impure. On Sept. 11 of last year, Islamists murdered US Ambassador Christopher Stevens and three embassy employees in the Libyan city of Benghazi. 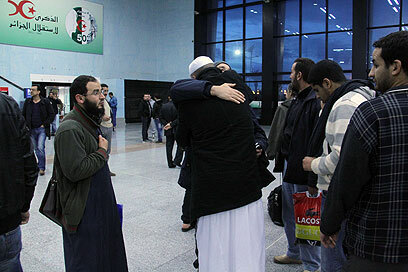 Last Thursday, Germany, Great Britain and the Netherlands withdrew their citizens from Libya, fearing new attacks. In Sudan’s embattled Darfur region, militias hired by the Islamist junta were harassing the local population until recently. And in Somalia, Kenyan and Ugandan soldiers are trying to drive back the fundamentalist Al-Shabaab militants. Islamism in the Sahel zone is backward and modern at the same time, ideologically rigid and perversely pragmatic. In Timbuktu, fanatics are cutting off the hands and heads of criminals, and yet the Islamists have become wealthy by taking over the cocaine and weapons business, as well as human trafficking operations. Sahelistan’s new masters are forging alliances with local insurgents and internationally operating jihadists. In Mali, they took over the unrecognized state of Azawad, formed after a Tuareg rebellion in April 2012 — a relatively easy task, after many Tuareg switched sides and joined the ranks of the Islamists. Ansar Dine, the largest Islamist group with its roughly 1,500 fighters, consists largely of Tuareg tribesmen. Al-Qaida and its splinter groups in Sahelistan are no longer under the command of a charismatic leader like Osama bin Laden. Instead, they have many commanders, including ruthless fighters like Mokhtar Belmokhtar, who is held responsible for the attack at the In Amenas natural gas plant, the largest terrorist incident since the 2008 Mumbai attacks. In Mali, there is Ansar Dine leader Iyad Ag Ghaly, a cynical political opportunist. These people pose an enormous threat in West Africa. Neighboring countries like Guinea, Liberia, Sierra Leone and Ivory Coast have only recently emerged from civil wars and could plunge back into chaos at any time. It stands to reason that members of the West African economic community ECOWAS were the first to join France by deploying troops to Mali, beginning with a contingent of 1,750 soldiers. Only one border separates Mali’s extremists from the Mediterranean, the 1,376-kilometer border between Mali and Algeria. President Abdelaziz Bouteflika, 75, still controls Algeria with an iron fist. Nevertheless, Algeria is the birthplace of Salafism in the Maghreb region, the radical Muslim school of thought that many extremist groups, including Al-Qaida, invoke today. In the late 1980s, the regime permitted the first Islamist party in the region, the Islamic Salvation Front (FIS). When the FIS seemed headed for victory in the 1991 elections, there was a military coup. The FIS then went underground and fought a brutal war of terror against Algiers that claimed up to 200,000 lives. The combatants who became radicalized at the time include Abdelmalek Droukdel, born in northern Algeria in 1970. As an adolescent, Droukdel joined the mujahedin and fought the Soviets in Afghanistan. Upon his return, Droukdel and others formed the “Salafist Group for Call and Combat,” which is now called “Al-Qaida in the Islamic Maghreb” (AQIM). The group has long since moved beyond its original goal of overthrowing the government in Algiers. Instead, its leaders dream of establishing a caliphate across all of Sahelistan. Droukdel’s fiercest adversary is the Algerian intelligence chief, Mohammed Mediène, trained by the KGB in the former Soviet Union. He has headed the fight against the Islamists for years and takes an unrelenting approach that categorically excludes negotiating with terrorists. Mediène is a difficult partner for the West. He was likely the one responsible for ordering the Algerian army to storm the natural gas plant in the desert in the week before last. Algerian special forces opened fire on the terrorists, despite the risk to the lives of hundreds of hostages. The assault ended in the deaths of about 40 foreign hostages. In the other countries of the Sahel zone, however, regular military forces tend to be on the losing end against Islamist insurgents. A year ago, the Ansar Dine extremists overran the Malian army within only a few weeks. The troops in the region are all as weak and corrupt as the countries that deploy them. They are poorly equipped and the soldiers suffer from poor morale, partly because the men must often wait months for their pay. The US is seeking to arm the countries in the region to combat the threat from the desert with a secret US government program called “Creek Sand.” Washington has stationed small aircraft in Ouagadougou, the capital of Burkina Faso, and at various other strategically important locations in the region. The Pilatus PC-12 aircraft are unarmed but filled with state-of-the-art surveillance technology. The information they gather as they fly over the desert is meant to help local military leaders in the hunt for terrorists, but the program has not been particularly successful thus far. Whether brutal military action, such as that which took place in Algeria, will deter Islamists is also disputed. The countries of Sahelistan are among the poorest in the world, and the region is regularly plagued by famine. “A young person from there has no chance of leading a good life,” says deposed Malian President Amadou Touré. The terrorists, on the other hand, are comparatively well off, offering young men a monthly salary of about €90 ($121). Each recruit also receives a Kalashnikov, daily meals and a modicum of power over the rest of the population. Shortly after recruitment, the new fighters are sent to training camps called Katibas, many of them in northern Mali and along the eastern border with Mauritania. In addition to receiving training with machine guns and hand grenades, the recruits also study the Koran. “You don’t even recognize them when they come back from there,” says a Tuareg tribesman in Bamako. Experts say that the Islamist fighters in Mali are generally better equipped and better fed than government soldiers. They have rocket-propelled grenades, SA-7 rockets and other modern weaponry. Their main weapons are the poor man’s tanks known as “technicals” — pickup trucks with heavy machine guns mounted on the bed, and bags of ammunition hanging off the sides for the fighters on foot. After the collapse of the Libyan regime, most of the weapons and ammunition were stolen from Gadhafi’s weapons stores, mostly by the dictator’s former Tuareg mercenaries. Fresh supplies of ordnance aren’t a problem either, now that Africa’s Islamists are hoarding many millions of dollars. A little over three years ago, Malian police officers made a strange discovery in northern Mali: a Boeing 727, parked in the middle of the desert, without seats but apparently equipped for carrying cargo. It was found that the plane was registered in Guinea-Bissau and had taken off from Venezuela. The find confirmed the authorities’ fears that South American cocaine cartels are sending large quantities of drugs to West Africa, sometimes using aircraft. Gangs that cooperate with the Islamists then take the drugs to the Mediterranean region. The business is said to have generated billions in profits. Kidnappings are the Islamists’ second financing mainstay. “Many Western countries pay enormous sums to jihadists,” scoffs Omar Ould Hamaha, an Islamist commander who feels so safe in the western Sahara that he can sometimes even be reached by phone. Experts estimate that AQIM has raked in €100 million in ransom money in recent years. About half of the kidnappings have ended violently. Boko Haram terrorists murdered a German engineer in northern Nigeria a year ago, and French engineers are often targeted. France depends on Niger for uranium and the state-owned nuclear conglomerate Areva is mining there on a large scale. It’s impossible to completely protect Areva’s employees. Two years ago, kidnappers even ventured into the dusty Nigerien capital Niamey, where they kidnapped two Frenchmen from a restaurant. For the victims, being kidnapped usually marks the beginning of an ordeal lasting months or even years. To shake off pursuers, the Islamists constantly move their hostages across hundreds of kilometers of desert, either in the beds of their pickup trucks or in marches that can last weeks. Canadian diplomat Robert Fowler titled his book about his time in the hands of extremists “A Season in Hell.”Fowler was released in April 2009, after 130 days in captivity. Ottawa denies having paid ransom money. The Frenchmen kidnapped in Niamey, however, died when a French special forces unit tried to liberate them. “At the slightest sign of an attack, the prisoners throats are slit like chickens,” says Islamist leader Hamaha. At least seven European hostages are currently waiting somewhere in the desert to be rescued — at least that’s what security forces hope. Islamists have threatened to kill them all, as revenge for the air strikes France has now launched in Mali. Algeria and France take on Al-Qaeda and the Islamists effort to turn back the MENA countries and the larger Islamic World to the ways of the nascent Islam of the Dark Ages. We have read of the death of 23 foreigners and many more Algerians in the fight between Algeria’s secular generals and the Islamist take-over of gas fields in this OPEC-member Nation. Had the industrialized countries made themselves independent of the slavery to the petroleum use in their economies – this would not have happened and, who-knows, perhaps there would not have been an Al-Qaeda either. But, nevertheless, considering the world we live in, and the dependence on oil and gas imported from the Islamic countries that benefits only the ruling few of those countries, all we can afford to do now is applaud the resolute handling of the resultant marauders. We thus applaud the unilateral decisiveness of the Algerians, the decision of France to bomb in Mali and to lead the West Africans and hopefully some of the Maghreb Arabs as well, while we applaud as well the retreat of the West from Iraq and Afghanistan. This because the West did it all wrong in the above two countries, while Algeria and France did it right this time. With Al-Qaeda you do not negotiate – but you also should not go into a country just because of its oil. Had the US just overthrown Saddam and left the Iraqis handle their own affairs without staying in the country, that would have been fine – but the US went there for the oil, and forgot Al-Qaeda in Afghanistan while thinking only of potential pipelines for Central Asian oil. This created only more Al-Qaeda and Al-Qaeda clones. Although the Algerian government declared an end to the militants’ siege, the authorities believed that a handful of jihadists were most likely hiding somewhere in the sprawling complex and said that troops were hunting for them. The British defense minister, Philip Hammond, called the loss of life “appalling and unacceptable” after reports that up to seven hostages were killed in the final hours of the hostage crisis, and he said that the leaders of the attack would be tracked down. The Algerian government said that 32 militants had been killed since Wednesday, although it cautioned that its casualty counts were provisional. What little information trickled out was as harrowing as what had come in the days before, when some hostages who had managed to escape told of workers being forced to wear explosives. They also said that there were several summary executions and that some workers had died in the military’s initial rescue attempt. On Saturday, Algerian officials reported that some bodies found by troops who rushed into the industrial complex were charred beyond recognition, making it difficult to distinguish between the captors and the captured. Two were assumed to be workers because they were handcuffed. The Algerian government has been relatively silent since the start of the crisis, releasing few details. The Algerian government faced withering international criticism for rushing ahead with its first assault on the militants on Thursday even as governments whose citizens were trapped inside the plant pleaded for more time, fearing that rescue attempts might lead to workers dying. The Algerians responded by saying they had a better understanding of how to handle militants after fighting Islamist insurgents for years. On Saturday, it was unclear who killed the last hostages. Initial reports from Algerian state news media said that seven workers had been executed during the army’s raid, but the senior government official and another high-level official, both of whom spoke on the condition of anonymity, later said the number killed and the cause were unknown. The early reports also said 11 militants were killed, but later information suggested that some may have blown themselves up. Whatever the goal, the message of the militant takeover of the gas complex, in a country that has perhaps the world’s toughest record for dealing with terrorists, seemed clear, at least to Algerian officials: the Islamist ministate in northern Mali, now under assault by French and Malian forces, has given a new boost to transnational terrorism. The brigade of some 32 Islamists that took the plant was multinational, Algerian officials said — with only three Algerians in the group. 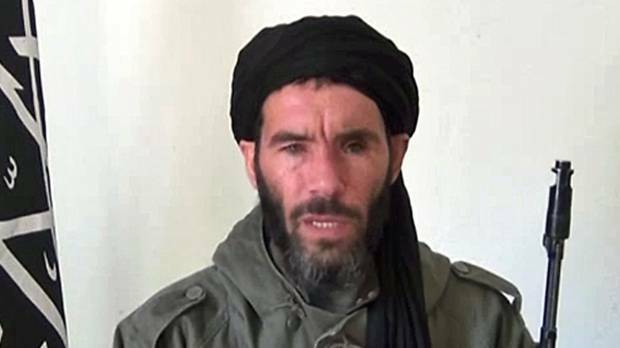 A Mali-based Algerian jihadist with ties to Al Qaeda, Mokhtar Belmokhtar, has claimed responsibility through spokesmen — and is blamed by the Algerians — for masterminding the raid. 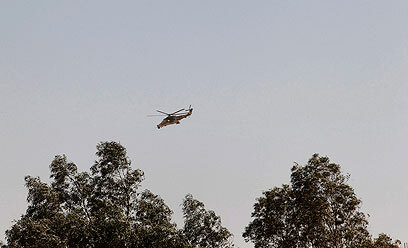 The militants who attacked the plant said it was in retaliation for the French troops sweeping into Mali this month to stop an advance of Islamist rebels south toward the capital, although they later said they had been planning an attack in Algeria for some time. The group that attacked the plant, thought to be based in Gao, Mali, was previously little known and had splintered last year from Al Qaeda in the Islamic Maghreb, Al Qaeda’s North African branch. The gas plant is operated by Sonatrach, Norway’s Statoil and BP of Britain. In a bloody finale, Algerian special forces stormed a natural gas complex in the Sahara desert on Saturday to end a standoff with Islamist extremists that left at least 23 hostages dead and killed all 32 militants involved, the Algerian government said. With few details emerging from the remote site in eastern Algeria, it was unclear whether anyone was rescued in the final operation, but the number of hostages killed on Saturday – seven – was how many the militants had said that morning they still had. The government described the toll as provisional and some foreigners remain unaccounted for. The US and British defense chiefs said the hostage crisis in Algeria ended and blamed the militants who seized the natural gas complex, and not Algeria’s government for its rescue operation. At a joint news conference in London, British Defense Minister Philip Hammond called the loss of life appalling and unacceptable. “It is the terrorists that bear the sole responsibility,” he told reporters. US Defense Secretary Leon Panetta said much remains “sketchy” about what happened at the remote Ain Amenas gas field. Hollande said the hostages were “shamefully murdered” by their captors, and he linked the event to France’s military operation against al-Qaeda-backed rebels in neighboring Mali. “If there was any need to justify our action against terrorism, we would have here, again, an additional argument,” he said. In the final assault, the remaining band of militants killed the hostages before 11 of them were in turn cut down by the special forces, Algeria’s state news agency said. The military launched its Saturday assault to prevent a fire started by the extremists from engulfing the complex and blowing it up, the report added. A total of 685 Algerian and 107 foreigner workers were freed over the course of the four-day standoff, the ministry statement said, adding that the group of militants that attacked the remote Saharan natural gas complex consisted of 32 men of various nationalities, including three Algerians and explosives experts. The Ain Amenas plant is jointly run by BP, Norway’s Statoil and Algeria’s state-owned oil company. The governments of Norway and Britain said they received confirmation the siege was over. The siege transfixed the world after radical Islamists linked to al-Qaeda stormed the complex, which contained hundreds of plant workers from all over the world. Algeria’s response to the crisis was typical of the country’s history in confronting terrorists – military action over negotiation – and caused an international outcry from countries worried about their citizens. Algerian military forces twice assaulted the areas where the hostages were being held with minimal apparent negotiation – first on Thursday and then on Saturday. 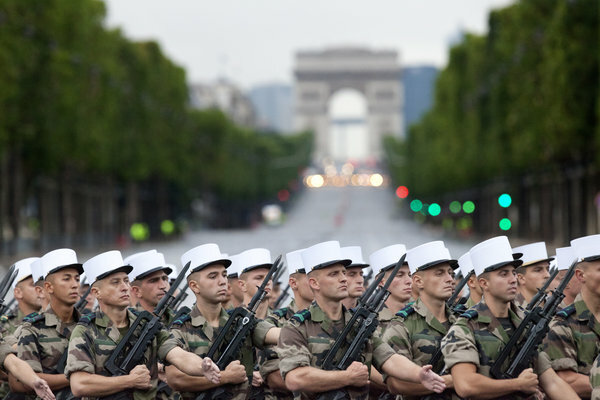 Soldiers from the French Foreign Legion rehearsing in July for the Bastille Day parade down the Champs-Élysées. IN 1966, the French president, Charles de Gaulle, war hero and general nuisance in Allied eyes, wrote President Lyndon B. Johnson to announce that France was pulling out of full membership in NATO and would expel NATO headquarters from France. “France is determined to regain on her whole territory the full exercise of her sovereignty, at present diminished by the permanent presence of allied military elements or by the use which is made of her airspace; to cease her participation in the integrated commands; and no longer to place her forces at the disposal of NATO,” de Gaulle wrote. After the humiliating capitulation to the Nazis, a tremendous shock to a prideful and martial France, it was not especially surprising that de Gaulle should seek to restore France to a place at the top table of nations, capable of defending its own interests with its own means at its own pace and pleasure. Even today, as French troops intervene in Mali, the French take pride in their military capacity and in their independence of action. French forces still march every year down the Champs-Élysées on Bastille Day, a military celebration unparalleled in the West. France has nuclear weapons and is the only country, other than the United States, with a nuclear-powered aircraft carrier. And even as Paris has slowly reconciled itself to full NATO membership, France has maintained its ability to send troops and equipment quickly to large parts of the globe, and it should soon overtake an austerity-minded Britain as the world’s fourth largest military spender, after the United States, China and Russia. France cannot do everything on its own, Mr. Levitte freely acknowledges. “But if you don’t have the military means to act, you don’t have a foreign policy,” he said. In Mali, as they did in 2011 in Libya and in Ivory Coast, the French have intervened on the basis of a direct request for help from a legitimate government, the support of regional African groupings like the African Union and a resolution from the United Nations Security Council. Even in Mali, France means to act multilaterally, even if it is leading from the front, as it did in Libya, in the name of saving an ally and helping the Sahel region combat the spread of radical Islamists, some of them foreign jihadists, strongly connected to terrorist groups like Al Qaeda in the Islamic Maghreb. So far, the decisive intervention by the French president, François Hollande, has been popular. A survey published on Wednesday by BVA for Le Parisien found that 75 percent of the French supported Mr. Hollande’s decision to take rapid military action against Islamist rebels in Mali, despite the risks, compared with 66 percent support for intervention in Libya last year and 55 percent for Afghanistan in 2001. An earlier poll on Monday for IFOP found that 63 percent backed Mr. Hollande’s decision. The French have an all-volunteer military, which distances the population further from the cost of war and makes soldiers “less visible to the populace at large,” notes Sébastien Jakubowski, a sociologist at the University of Lille who studies the army. It has also made the army more popular, with an approval rating of between 80 and 90 percent, he says. But in another change from the past, the French expect that a decision to use the military will be based on clear moral criteria, Mr. Jakubowski said. And the French take some pride in playing a leading role from a moral foundation, even if French national interests are also at play, pushing other allies to act. Mr. Jakubowski cited an interview in Le Figaro on Jan. 3 with the American neoconservative historian Robert Kagan, whose study of American and European attitudes toward the use of force, comparing America to Mars and Europe to Venus, was much caricatured but highly influential. But the French also understand that their military limitations are real, and they are far better off acting with others, even if not always with Washington. Paris has been a constant prod to other European countries, and to the European Union itself, to develop better military capacities. Jihadists’ Surge in North Africa Reveals Grim Side of Arab Spring. Col. Muammar el-Qaddafi in 2009. His warnings before his 2011 ouster and death sounded melodramatic, but proved prescient as the area has become easier for jihadists to operate in. In recent days, that unhinged prophecy has acquired a grim new currency. In Mali, French paratroopers arrived this month to battle an advancing force of jihadi fighters who already control an area twice the size of Germany. In Algeria, a one-eyed Islamist bandit organized the brazen takeover of an international gas facility, taking hostages that included more than 40 Americans and Europeans. Coming just four months after an American ambassador was killed by jihadists in Libya, those assaults have contributed to a sense that North Africa — long a dormant backwater for Al Qaeda — is turning into another zone of dangerous instability, much like Syria, site of an increasingly bloody civil war. The mayhem in this vast desert region has many roots, but it is also a sobering reminder that the euphoric toppling of dictators in Libya, Tunisia and Egypt has come at a price. The crisis in Mali is not likely to end soon, with the militants ensconcing themselves among local people and digging fortifications. It could also test the fragile new governments of Libya and its neighbors, in a region where any Western military intervention arouses bitter colonial memories and provides a rallying cry for Islamists. And it comes as world powers struggle with civil war in Syria, where another Arab autocrat is warning about the furies that could be unleashed if he falls. Even as Obama administration officials vowed to hunt down the hostage-takers in Algeria, they faced the added challenge of a dauntingly complex jihadist landscape across North Africa that belies the easy label of “Al Qaeda,” with multiple factions operating among overlapping ethnic groups, clans and criminal networks. Although there have been hints of cross-border alliances among the militants, such links appear to be fleeting. And their targets are often those of opportunity, as they appear to have been in Benghazi and at the gas facility in Algeria. In the longer term, the Obama administration and many analysts are divided about what kind of threat the explosion of Islamist militancy across North Africa poses to the United States. Some have called for a more active American role, noting that the hostage-taking in Algeria demonstrates how hard it can be to avoid entanglement. Others warn against too muscular a response. “It puts a transnational framework on top of what is fundamentally a set of local concerns, and we risk making ourselves more of an enemy than we would otherwise be,” said Paul R. Pillar of Georgetown University, a former C.I.A. analyst. In a sense, both the hostage crisis in Algeria and the battle raging in Mali are consequences of the fall of Colonel Qaddafi in 2011. Like other strongmen in the region, Colonel Qaddafi had mostly kept in check his country’s various ethnic and tribal factions, either by brutally suppressing them or by co-opting them to fight for his government. He acted as a lid, keeping volatile elements repressed. Once that lid was removed, and the borders that had been enforced by powerful governments became more porous, there was greater freedom for various groups — whether rebels, jihadists or criminals — to join up and make common cause. In Mali, for instance, there are the Tuaregs, a nomadic people ethnically distinct both from Arabs, who make up the nations to the north, and the Africans who inhabit southern Mali and control the national government. They fought for Colonel Qaddafi in Libya, then streamed back across the border after his fall, banding together with Islamist groups to form a far more formidable fighting force. They brought with them heavy weapons and a new determination to overthrow the Malian government, which they had battled off and on for decades in a largely secular struggle for greater autonomy. Even the Algeria gas field attack — which took place near the Libyan border, and may have involved Libyan fighters — reflects the chaos that has prevailed in Libya for the past two years. Yet Colonel Qaddafi’s fall was only the tipping point, some analysts say, in a region where chaos has been on the rise for years, and men who fight under the banner of jihad have built up enormous reserves of cash through smuggling and other criminal activities. If the rhetoric of the Islamic militants now fighting across North Africa is about holy war, the reality is often closer to a battle among competing gangsters in a region where government authority has long been paper-thin. Among those figures, two names stand out: Mokhtar Belmokhtar, the warlord who led the attack on the Algerian gas field, and Abdelhamid Abu Zeid, a leader of Al Qaeda’s North African branch. “The driving force behind jihadism in the Sahara region is the competition between Abu Zeid and Belmokhtar,” said Jean-Pierre Filiu, a Middle East analyst at the Institut d’Études Politiques in Paris. Mr. Belmokhtar has generated millions of dollars for the Qaeda group through the kidnapping of Westerners and the smuggling of tobacco, which earned him one of his nicknames, “Mr. Marlboro.” But Mr. Belmokhtar bridles under authority, and last year his rival forced him out of the organization, Mr. Filiu said. “Belmokhtar has now retaliated by organizing the Algeria gas field attack, and it is a kind of masterstroke — he has proved his ability,” Mr. Filiu said. Both men are from Algeria, a breeding ground of Islamic extremism. Al Qaeda in the Islamic Maghreb, as the regional branch is known, originated with Algerian Islamists who fought against their government during the bloody civil conflict of the 1990s in that country. Algeria’s authoritarian government is now seen as a crucial intermediary by France and other Western countries in dealing with Islamist militants in North Africa. But the Algerians have shown reluctance to become too involved in a broad military campaign that could be very risky for them. International action against the Islamist takeover in northern Mali could push the militants back into southern Algeria, where they started. That would undo years of bloody struggle by Algeria’s military forces, which largely succeeded in pushing the jihadists outside their borders. 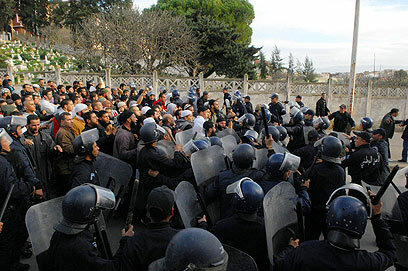 The Algerians also have little patience with what they see as Western naïveté about the Arab spring, analysts say. Although French military forces are now fighting alongside the Malian Army, plans to retake the lawless zone of northern Mali have for the past year largely focused on training an African fighting force, and trying to peel off some of the more amenable elements among the insurgents with negotiations. Some in Mali and the West had invested hopes in Iyad Ag Ghali, a Tuareg who leads Ansar Dine, or Defenders of the Faith, one of the main Islamist groups. Mr. Ghali, who is said to be opportunistic, was an ideological link between the hard-line Islamists of Al Qaeda in the Islamic Maghreb and the more secular nationalist Tuareg group, known as the National Movement for the Liberation of Azawad. But so far negotiations have led nowhere, leaving the Malian authorities and their Western interlocutors with little to fall back on besides armed force. David D. Kirkpatrick contributed reporting from Cairo, and Mark Mazzetti and Eric Schmitt from Washington. Wole Soyinka tells it as it is – at the UN before the opening of the 67 Session of the General Assembly – RELIGION AGAINST HUMANITY. A Nobel Prize Winner for literature – on a UNESCO Panel on the Culture of Peace. Sept. 21, 2012, United Nations Hdqrs, New York. WOKE SOYINKA was awarded the The Nobel Prize in Literature 1986. Wole Soyinka was born on 13 July 1934 at Abeokuta, near Ibadan in western Nigeria. After preparatory university studies in 1954 at Government College in Ibadan, he continued at the University of Leeds, where, later, in 1973, he took his doctorate. During the six years spent in England, he was a dramaturgist at the Royal Court Theatre in London 1958-1959. In 1960, he was awarded a Rockefeller bursary and returned to Nigeria to study African drama. At the same time, he taught drama and literature at various universities in Ibadan, Lagos, and Ife, where, since 1975, he has been professor of comparative literature. In 1960, he founded the theatre group, “The 1960 Masks” and in 1964, the “Orisun Theatre Company”, in which he has produced his own plays and taken part as actor. He has periodically been visiting professor at the universities of Cambridge, Sheffield, and Yale. As dramatist, Soyinka has been influenced by, among others, the Irish writer, J.M. Synge, but links up with the traditional popular African theatre with its combination of dance, music, and action. He bases his writing on the mythology of his own tribe-the Yoruba-with Ogun, the god of iron and war, at the centre. He wrote his first plays during his time in London, The Swamp Dwellers and The Lion and the Jewel (a light comedy), which were performed at Ibadan in 1958 and 1959 and were published in 1963. Later, satirical comedies are The Trial of Brother Jero (performed in 1960, publ. 1963) with its sequel, Jero’s Metamorphosis (performed 1974, publ. 1973), A Dance of the ForestsKongi’s Harvest (performed 1965, publ. 1967) and Madmen and Specialists (performed 1970, publ. 1971). Among Soyinka’s serious philosophic plays are (apart from “The Swamp Dwellers“) The Strong Breed (performed 1966, publ. 1963), The Road ( 1965) and Death and the King’s Horseman (performed 1976, publ. 1975). In The Bacchae of Euripides (1973), he has rewritten the Bacchae for the African stage and in Opera Wonyosi (performed 1977, publ. 1981), bases himself on John Gay’s Beggar’s Opera and Brecht’s The Threepenny Opera. Soyinka’s latest dramatic works are A Play of Giants (1984) and Requiem for a Futurologist (1985). Soyinka has written two novels, The Interpreters (1965), narratively, a complicated work which has been compared to Joyce’s and Faulkner’s, in which six Nigerian intellectuals discuss and interpret their African experiences, and Season of Anomy (1973) which is based on the writer’s thoughts during his imprisonment and confronts the Orpheus and Euridice myth with the mythology of the Yoruba. Purely autobiographical are The Man Died: Prison Notes (1972) and the account of his childhood, Aké ( 1981), in which the parents’ warmth and interest in their son are prominent. Literary essays are collected in, among others, Myth, Literature and the African World (1975). Soyinka’s poems, which show a close connection to his plays, are collected in Idanre, and Other Poems (1967), Poems from Prison (1969), A Shuttle in the Crypt (1972) the long poem Ogun Abibiman (1976) and Mandela’s Earth and Other Poems (1988). Soyinka has strongly criticized many Nigerian military dictators, especially late General Sanni Abacha, as well as other political tyrannies, including the Mugabe regime in Zimbabwe. Much of his writing has been concerned with “the oppressive boot and the irrelevance of the colour of the foot that wears it”. During the regime of General Sani Abacha (1993–1998), Soyinka escaped from Nigeria via the “Nadeco Route” on motorcycle. Living abroad, mainly in the United States, he was a professor first at Cornell University and then at Emory University in Atlanta, where in 1996 he was appointed Robert W. Woodruff Professor of the Arts. Abacha proclaimed a death sentence against him “in absentia”. With civilian rule restored to Nigeria in 1999, Soyinka returned to his nation. He has also taught at Oxford, Harvard and Yale. From 1975 to 1999, he was a Professor of Comparative Literature at the Obafemi Awolowo University, then called the University of Ife. With civilian rule restored in 1999, he was made professor emeritus. Soyinka has been a Professor of Creative Writing at the University of Nevada, Las Vegas. In the fall of 2007 he was appointed Professor in Residence at Loyola Marymount University in Los Angeles, California, US. From Timbuktu – Mali Tuareg and Islamist rebels agree on a break-away Islamist state to be called the Republic of AZAWAD. Mali coup: The story so far. Mali Tuareg and Islamist rebels agree on Islamist state. Two rebel groups that seized northern Mali two months ago have agreed to merge and turn their territory into an Islamist state, both sides say. The Tuareg MNLA, a secular rebel group, and the Islamist group Ansar Dine signed the deal in the town of Gao, spokespeople said. Ansar Dine, which has ties to al-Qaeda, has already begun to impose Sharia, or Islamic law, in towns such as Timbuktu. The groups took advantage of a coup in March to seize the territory. West Africa’s chief mediator for the Mali crisis told the AFP news agency that he hoped the merger would simplify negotiations with the rebels. Burkina Faso Foreign Minister Djibrill Bassole also called on both groups to renounce terror. Mali’s Communications Minister Hamadoun Toure told the BBC that other countries should help Mali tackle al-Qaeda in the region. Capt Amadou Sanogo seized power in March after claiming the then president, Amadou Toumani Toure, was not doing enough to quash the rebellion. Faced with mounting international pressure and sanctions, he was forced to step down only three weeks later, but is still thought to wield power behind the scenes. Previously, the MNLA had remained secular, resisting Ansar Dine’s efforts to impose Islamic law in towns. Meanwhile, Ansar Dine had rejected the MNLA’s call for an independent state. Residents said there was celebratory gunfire in Gao and Timbuktu after the agreement. More than 300,000 people have fled northern Mali since the rebels took the territory in the days following the coup. Regional bloc Ecowas has said it is preparing to send 3,000 troops to Mali to help the country reclaim its northern territory, but no date has been set for the force to arrive. Mali’s interim president, Dioncounda Traore, is receiving medical tests in France after being beaten unconscious by protesters who supported the coup. It is thought that soldiers allowed the demonstrators into Mr Traore’s office, which is next to the presidential palace. Ecowas has warned of sanctions if the military are found to be involved. On US Memorial Day, it was Decided in Geneva to hold Durban II on US Premises in Geneva. This is a Victory for the Egyptians Fronting for the Organization of the Islamic Conference (OIC) and one more African Weight on the Neck of the UN. Up to now only the US, Canada and Israel Washed Their Hands of this Ongoing Scandal – Will Next US President Simply Say We Do Not Pay a Cent For This Outrage? We Assume This Will Now Come Up In The US Presidential Election Campaign. EYE ON THE UN: For Immediate Release – May 26, 2008 – The US Memorial Day. UN Racism Conference to be held in Geneva April 20-24, 2009 – Ironically over Holocaust Remembrance Day. The next UN racism conference – known as Durban II or the Durban Review Conference – will be held on UN premises in Geneva from April 20-24, 2009, a UN preparatory committee decided today. Bayefsky noted “Ironically, the Durban Review Conference will take place over Holocaust Remembrance Day, Yom HaShoah on April 21, 2009. Jews all over the world will be remembering the 6 million murdered in the worst instance of racism and xenophobia in human history. Durban II is intended to promote the implementation of the 2001 Durban Declaration, which singled out only Israel and labeled Palestinians as victims of Israeli racism. For once South Africa showed the courage to stand up and be counted among the Nations – the rest of Africa – we must note – is nothing but a rug at the feet of the Islamic world – Sudan, Somalia, Ethiopia, Eritrea, Djibuti, Kenya, Mali, Niger, Burkina Faso, Chad, Mauritania, Marocco … all countries were black Africans suffer from the Egyptian led OIC intrusions on their continent. The UN is just a conduit for making the world pay the bill. Analyzing The UN News Of The Day We Think That In His Meeting With The President Of Switzerland in Bern, Mr. Ban Could Secretly Suggest That Switzerland Retires Mr. Ziegler Whose Utility To Human-Kind Has Long Been Lost To his Pandering To Arab Causes. Analyzing the news we find that now even the UN makes clear prediction that climate change in Africa is bound to become a security problem with the Sahel countries of Burkina Faso, Mali, Mauritania, Niger and Senegal among the first that must address this inevitable danger. All these countries belong to the Arabized Africa. But Mr. Ziegler of the UN “Right to Food” Program just shoots his mouth at the US and at the EU for trying to decrease their dependence on imported oil by emulating the great Brazilian experience with biofuels. Rather then being helpful, Mr. Ziegler calls for a moratorium that could only benefit his Arab friends. Mr. Ban Ki-moon visits now the economic offices of the UN in Vienna and Geneva, and speaks up about the real World needs. He will then meet high level UN officials from Economic and Human Rights offices. He will also meet the foreign ministers of Austria and Slovenia, and the President of Switzerland. Our main attention is drawn to this last meeting and we think that the best reason for his trip could come true if he were to negotiate with the Swiss President’s removing Mr. Ziegler from his UN related functions, as he did enough damage by now. Also, perhaps, if needed, Switzerland could take over from South Africa the hosting of that Durban II event. By bringing the hotheads of that planned disaster to their senses, Switzerland could have the chance to redeem itself from all these other problems that its citizen, Ziegler, managed to create on the world stage. We really do not want to see that the Swiss flag will remain stained for any further length of time. Further, While in Vienna, in his meetings there, Mr. Ban could obtain further information about farm policy and biofuels. The Austrians were very good at that. When “Gemma Brott Verbrennen” was the anti-ethanol call that was all over the frontpage of the daily “Kurrier” – the Austrians moved to the production of biodiesel made from oil of the ricinus plant in order to avoid the Food-for-fuel misrepresentation of the European agriculture. The Slovenians think in this respect like the Austrians. Some 10,000 farmers in five African countries, where crops are expected to be badly affected by climate change, are to receive help from the United Nations World Meteorological Organization (WMO) in the form of low-cost rain gauge equipment and roving seminars provided by agricultural experts. With the help of Spain, WMO will distribute the rain gauges to volunteer farmers in Burkina Faso, Mali, Mauritania, Niger and Senegal, and train them in using rainfall data to plan sowing, fertilizer application and harvesting. The goal of the roving seminars is to support farmers’ self-reliance by supplying them with information on weather and climate risk management. In West Africa, the area suitable for agriculture, the length of the growing season, and crop yields, especially along the margins of arid and semi-arid areas, are all expected to decrease, according to projections by the UN Intergovernmental Panel on Climate Change (IPCC). In some African countries, yield from rain-fed farming could be reduced by up to 50 per cent by 2020. The assistance plan was announced on Friday after a meeting in Niamey, Niger, which was organized by WMO and the State Meteorological Agency of Spain. The United States and the European Union have taken a “criminal path” by contributing to an explosive rise in global food prices through using food crops to produce biofuels, according to the United Nations Special Rapporteur on the right to food. Speaking at a press conference today in Geneva, Jean Ziegler said that fuel policies pursued by the US and the EU were one of the main causes of the current worldwide food crisis. Mr. Ziegler said that last year the US used a third of its corn crop to create biofuels, while the European Union is planning to have 10 per cent of its petrol supplied by biofuels. The Special Rapporteur has called for a five-year moratorium on the production of biofuels. Mr. Ziegler also said that speculation on international markets was behind 30 per cent of the increase in food prices. He said that companies such as Cargill, which controls a quarter of all cereal production, have enormous power over the market. He added that hedge funds are also making huge profits from raw materials markets, and called for new financial regulations to prevent such speculation. The Special Rapporteur warned of worsening food riots and a “horrifying” increase in deaths by starvation before reforms could take effect. Mr. Ziegler was speaking before a meeting today in Bern, Switzerland, between Secretary General Ban Ki-moon and the heads of key UN agencies. The current global food crisis triggered by soaring prices, the safety and security of United Nations personnel and climate change dominated talks today involving Secretary-General Ban Ki-moon and other senior officials from the world body. The topics were discussed at the spring session of the Chief Executives Board, which brings together the heads of the world body’s various entities for regular meetings, in Bern, the Swiss capital, where Mr. Ban is on an official visit. He noted that the food crisis has hurt the world’s poorest and pushed 100 million people further into poverty, impeding the achievement of the Millennium Development Goals (MDGs), eight targets to slash a host of social ills by 2015. Also participating in the events were Foreign Minister Ursula Plassnik of Austria and Dimitrij Rupel, Foreign Minister of Slovenia, which currently holds the EU’s rotating presidency. Speaking to reporters in Vienna, the Secretary-General said that as a short-run response to the food crises, all humanitarian crises must be addressed. “In the longer term, the international community, particularly the leaders of the international community, should sit down together on an urgent basis and address how we can, first of all, improve these economic systems, distributions systems, as well as how we can promote the improved production of agricultural products,” he added. Later today, Mr. Ban is scheduled to meet with Pascal Couchepin, the President of Switzerland. The Touaregues: A Further Clash Between Arabized Africa and Some Of The More Independent Minded Local Tribes. Their Problem Is With Mali and Niger. We wondered that the only material in Arabic that we found on the tables at the Session on Climate Change – the 7th Session of The Permanent Forum on Indigenous Issues – was from Israel. Now we found two Tuaregue delegates who gave us material in French dealing with incidents of August 26th, 2007 at Gougaram, Niger; November 23rd, 2007, Tchintabizguine, Niger; and April 10th, 2008, Kidal , Mali – where Tuaregs were killed by the more Arabized Niger and Mali authorities. This is an issue of human rights raised by the tribes that are closer to the original inhabitants – the indigenous people – in those two African States. Will their problem be looked at before it reaches Darfurian dimensions? UN Stars at a Press Conference In A Large Conference Room In Order To Show The Smallness Of Its Achievements On The MDGs. Also, words like Sustainability, Sustainable Development Where Not Spoken – Can One Expect MDGs without Making Sure That There Is Sustainable Development In That Process? In 2001, in response to the world leaders’ request, UN Secretary General Kofi Annan presented the Road Map Towards the Implementation of the United Nations Millennium Declaration, an integrated and comprehensive overview of the situation, outlining potential strategies for action designed to meet the goals and commitments of the Millennium Declaration. The Millennium Development Goals (MDGs) are eight goals to be achieved by 2015 that respond to the world’s main development challenges. The MDGs are drawn from the actions and targets contained in the Millennium Declaration that was adopted by 189 nations-and signed by 147 heads of state and governments during the UN Millennium Summit in September 2000.
bring together, in the eighth Goal, the responsibilities of developing countries with those of developed countries, founded on a global partnership endorsed at the International Conference on Financing for Development in Monterrey, Mexico in March 2002, and again at the Johannesburg World Summit on Sustainable Development in August 2002. So, we are now in March 2008, more then halfway into the timing of the period alloted for achieving the MDGs, and one wonders if we did not get lost on that Roadway. The new Secretary-General, Mr. Ban Ki-moon, convened September 14, 2007 his First Africa MDG Steering Group, and now, today, March 10, 2008 was the Second meeting of the group – all this so a new – High -Level meeting be set up for September 25, 2008 – this before the start on next UN General Assembly meeting. URGENT ACTION CRUCIAL FOR AFRICA TO MEET ITS DEVELOPMENT TARGETS â€“ BAN KI-MOON. “Secretary-General Ban Ki-moon today urged scaled-up action â€“ including raising agricultural productivity across Africa â€“ so that the continent can meet the Millennium Development Goals (MDGs) by the target date of 2015. He pointed to examples of achievements made, such as Malawi’s lowering of child mortality rates, Senegal’s accomplishments in enhancing its water and sanitation facilities and Tanzania’s improvements in primary education. “The challenge is now to replicate these successes in more countries,” he observed. Today’s meeting identified several key programmes that need to be implemented by African nations, with assistance from the international community, in the near future, including launching an African “Green Revolution” to speed up economic growth and tackle hunger; controlling infectious diseases by providing comprehensive AIDS treatment by 2010 and bringing malaria mortality rates close to zero by 2012; and ensuring emergency obstetric care for all women by 2015. He voiced hope that the Group’s recommendations would spur action on the part of world leaders and encourage them to focus on specific steps that need to be agreed upon to reach development targets. “We see a lot of leadership from African governments on these issues, and we are committed to working with them to support the design and implementation of country-led strategies and programmes,” he said. The Press was seated in the first three rows of the large room. UN Security was at the door and said this is for Press only. Nevertheless there were many people that were not from the press in the rows beyond the first three rows. Who were they and how did they get in? The UN Secretary-General made a short presentation, and then the floor was opened for the press to ask questions. Turned out that there was time only for 10 questions, and UN Spokesperson Michelle Montas was careful to allow only questions on Development in Africa, though one political question about Myanmar managed to sneak in. We find limiting the questions to development in Africa appropriate, so pure political issues are kept out – but then there might be a problem with the interpretation of what is a development question – and this could become a way for the UN to keep out non-complimentary questions. Robert Zoellick, President of the World Bank. Behind them was a line of specialists, that included Professor Sachs, and functionaries. The questions were answered mainly by the UNSG, and by Mr. Konare, Messrs. Louis Michel, Dominique Strauss-Kahn, Angel Gurria and Robert Zoellick Participated each in answering one question only. Messrs. Kaberuka and Ennifar did not participate at all. The Secretary-General said that “we identified our target – we have to integrate Africa in the global economy.” To get there he called for intensifying trade negotiations. He called for a new Green Revolution in Africa and this was not just a question of seeds – it is rather developing markets, enhance use of fertilizers and open up the developed countries to African products. There is a possibility here to have African food suppliers that provide to other African countries. These are ideas that Professor Jeffrey Sachs was working on for years. Eventually, as an answer to the last question, Mr. Zoelick said that at a time that food prices are high – that is exactly the right time to stop agricultural subsidies and this will in effect decrease the price of food because of the possibility now to produce for better market condition and this will nevertheless also help reduce the price of food even in the developed countries. John Helprin from AP wanted to know which of the MDGs is most off-track and got from the UNSG the answer that they are all off-track – we need more aid and more participation by the countries themselves. Tuyet Nguyen, from German Press, wanted to know about China exploiting Sudan oil, got from Mr. Konare the answr that China in Sudan is a complicated case. Rhonda wanted to know about South Korea’s development and how to take this experience to Africa. This obviously played to the hands of the Secretary-General who said that Africa is lagging in information technology and this is very serious. In Korea, in the 70’s and 80’s, there was self help in villages to transform them into modern villages – village leaders competing among themselves. This the Koreans introduced to Rwanda, and Mr. Ban said that in the morning Konare said that the people need self respect. Mr. Guria said that with the Partnership for Democratic Government there will be a ministerial meeting on the internet economy. Matthew Russell Lee asked about the billion dollars spent in Sudan and the DRC and if the AU is happy the way contracts are allocated – but rather then writing about the exchange with Mr. Konare, we will rather post here how Mr. Lee saw these answers. And here one can see that Mr. Konare welcomes the UN investigative press – and would it not be nice had the UN more of it! Let us already say here also that we felt, Mr. Konare was indeed the star of the event, and a question that asked him how he feels about his time as head of the AU, as he will be leaving the helm, – was he successful in his leadership – allowed him to give his clear analysis that not everything is fine. By Matthew Russell Lee of Inner City Press. This attention was made clear following the press conference, when European Commissioner Louis Michel sought out Inner City Press to note that the UN’s contracting process is the subject of pending questions in the European Parliament. “You are right,” he said, “there is a problem.” He added, by contrast to the UN’s December 31, 2007 no-bid $12 million contract with Lockheed Martin to feed the peacekeepers in Darfur that the European Union buys locally. “There will be a debate on this,” he said. Under the heading “Concern over cases of corruption at the United Nations,” Spain’s Emilio Menendez del Valle in Written Question E-0342/08 has asked “why it is worrying to learn (though also encouraging, since the problem is being confronted) that the UN’s Office of Internal Oversight Services (OIOS)” is “currently investigating, at the request of the General Assembly, a matter of special interest to the European Union… the award, without a tender procedure, of a USD 250 million contract to the US company Lockheed Martin to construct five bases in that region.” He asks,” is the Council not concerned at the course of events described above?” According to Louis Michel, the answer is yes: concern is growing. Ironically, Ban Ki-moon’s spokesperson tried to cut off the question about the UN’s own spending in Africa, saying that it did not relate to development. Not only did Chairman Konare respond with a three minute response congratulating the press for exposing the scandal, also Mr. Ban raised his hand to offer the UN’s perspective on the procurement and transparency issued. But Mr. Ban was not called on. Next time, then. Was above a notion that UN DPI does not let even the UNSG have his say? Watch the tape and find the answer! Also, look at the tape to search if you hear anywhere words like SUSTAINABLE DEVELOPMENT, GLOBAL WARMING, CLIMATE CHANGE spoken? I did not find a trace. Did it occur to anyone that you will never achieve MDGs if you do not go by terms of SUSTAINABILITY? Are These Words To Be Discussed Separately From The Subject Of Development? This even at a time that the UNSG is now on record that much of the conflict in Africa has to do with environmental changes that came about because of climate change. Does not Development in Africa also have to address adaptation to climate change conditions that came about from lack of more serious mitigation efforts elsewhere? Did we not hear at other UN events about funding methods that come from a global approach to climate change? Should this not have been included in questions from the press? Was there anyone in that room, among the people of the press, that could have pulled into the discussion Professor Jeffrey Sachs who is known to have strong opinions in this area also? Let us say – an unfinished agenda and indeed at half-time – an agenda that does not advance with promissing speed. Going now to the September 25, 2008 new – one day High-Level meeting – called for by the UNSG and the President of the UNGA – it seems that the there has to be some further cross-fertilization between the “develop Africa” track and the “global climate change” track – linked through the threads of Sustainable Development of Africa and of the rest of the world as well. UNDP and the Gates Foundation to Help Poor Africans With Biodiesel Fueled Multifunctional Platforms (MFP) That Enhance The Productivity of Small Enterprises Run By Women That Will Also Get Literacy and Management Training and Support. GATES FOUNDATION AND UN JOIN FORCES TO MECHANIZE WOMEN’S WORK IN French Speaking WEST AFRICA (Burkina Faso, Mali and Senegal) – says a UN Press Release. The United Nations Development Programme (UNDP) said today it had joined forces with the Bill & Melinda Gates Foundation in an effort to empower rural West African women with diesel engines, and, in doing so, boost their incomes. The centrepiece of the project is a diesel-run engine mounted on a chassis, called a multifunctional platform, or MFP, to which a variety of processing equipment can be attached, including a cereal mill, husker, battery charger, and joinery and carpentry equipment, according to a UNDP press release. The MFP takes domestic tasks such as milling and husking sorghum, millet, maize and other grains, normally done with a mortar and pestle or a grinding stone, and mechanises them, making them profitable economic activities. The machine, which the project will distribute in Burkina Faso, Mali and Senegal, can also generate electricity for lighting, refrigeration and water pumps. “By investing in this simple power source for rural communities, women no longer need to spend all their time grinding grains or pumping water,” UNDP Administrator Kemal Dervis said as he announced the initiative in Dakar, Senegal. “They have more hours in the day to develop profitable activities that could boost their productivity, enabling them to sell better quality products and increase their income using low-cost, effective technology,” he added. A $19 million, four-year grant from the Gates Foundation will help establish 600 new sustainable, rural agro-enterprises based on the machine in West Africa, with at least 24 of the MFPs to be biofuel-based, according to UNDP. As part of the enterprise projects, UNDP and its extensive network of local non-governmental organizations (NGOs) will back the women’s groups with literacy and management training and support. The benefits of the MFP have already been proven in parts of West Africa, the agency said. In Senegal, S. Sakho of Batantinty explained that before the platform was introduced in her village she rarely earned more than 25,000 CFA ($55) from processing and selling shea butter from nuts. “With the platform I easily earn 100,000 CFA ($220) at the end of the harvest,” Mrs Sakho said. The yield is high because the time is there. The platform has improved my life. I spend the earnings for the children’s education and clothing; I no longer look like a peasant,” she said.